A website won’t last forever. The World Wide Web is constantly changing, so it is essential that you keep your website up to date. Out of date websites will not only fall behind the competition, but they will become slow, clunky and will lose the interest of your visitors. We offer a range of hosting options, based on your needs. We work alongside reputable, reliable, UK-based hosting companies to provide the best quality, affordable hosting services for your website. If you choose one of our monthly website management packages, we include a full website backup service as standard. If you are going to invest money in a website, it makes sense to have a ‘safety net’ in place. Our backup service means that we take a copy of your website every 24 hours, and keep 30 days worth of backups. 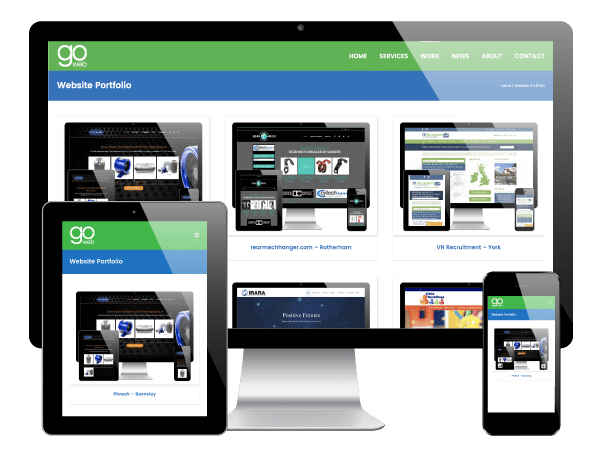 At Go Web, we build websites using the world’s most popular Content Management Systems, which provide you with an affordable, ‘out-of-the-box’ way to manage your own website content. Content management systems such as WordPress and Magento require constant updates to ensure they are secure and that they work optimally. WordPress and Magento are flexible, ‘modular’ Content Management Systems, which mean Web Developers like ourselves can add features and functionality depending on the needs of your users. These additional plugins and themes require constant updates, to ensure they are working as they should be. Let us take care of that for you. As mentioned above, plugins are available for WordPress and Magento in order to add functionality. As well as some brilliant free plugins, there are also occasions when we might need to purchase plugins on your behalf. Normally, these plugins require annual license fees, but if you choose one of our monthly management plans, we take care of both the cost AND the hassle of renewals. If your website were to go down it could be a disaster. It not only affects the people using your site, but Google is said to frown upon website downtime. We have a tool which monitors your website and alerts us within 60 seconds of any problems, so we can get on with fixing the issue immediately. Unfortunately for us, hackers, spammers and advertisers are rife at the moment. People will try to maliciously access your website, it’s just one of those things. We use security tools which ensure nobody can do this successfully, and can permanently block people who try. 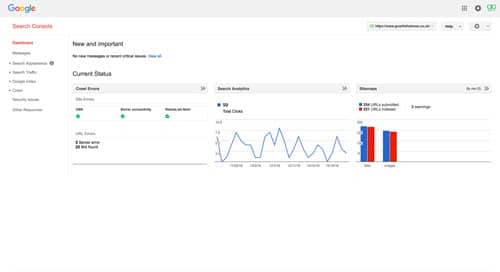 Google Search Console is one of the most important and essential tools for any Webmaster. Not only does it help you communicate directly with Google, it allows Google to inform you about any potential issues on your website which could potentially affect not only your users, but your search rankings. Let us ensure this vital tool is set up and monitored correctly for you. 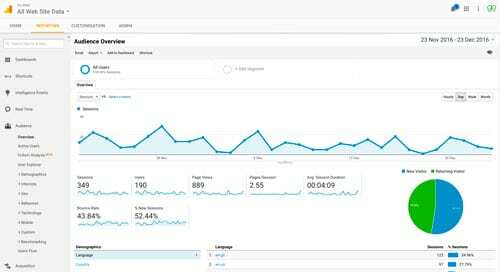 Google Analytics allows us to track who visits your website, when, how, why and which pages they look at. This provides you with valuable information that we can use together to ensure your website attracts as many visitors as possible, and try to keep them coming back for more. Domain management can be a real hassle. They are cheap and easy to buy, but when it comes to the technical side of domains and DNS management, you really should leave it to the experts. SSL certificates ensure that your users are protected when they visit your website, by encrypting any data they might submit to you such as personal information and card details. Let us purchase, install and renew your SSL certificate each year for you, as part of one of our monthly plans. If you need new email accounts setting up, for example if you recruit new staff, then we can do this quickly and easily for you. Not only will we set up the email accounts for free, we will give you full instructions on how to set up the emails on your devices and in apps such as Outlook, GMail and Apple Mac Mail. A website requires constant care and attention. Web standards change rapidly, so it is important to ensure your website doesn’t become outdated. Let us take the hassle out of all that for you. Once a year, we offer to give you an overview of your website’s performance, along with recommendations on how to improve the site for better rankings, traffic and conversions.